William is a wealthy young man who wants to live life to the full, indulging in adventure sports and hard work in equal measure. But his life is turned upside down in an accident that leaves him paralysed. He loses his girlfriend to another man and also his will to live. Enter Louisa, a young woman who comes from a working class background and who takes up the job of William’s caretaker because she needs the money. She has no training to take care of a paralysed person, but is confident that her cheerful bright personality will help her in her job. And this fact is proved true beyond her expectations. For using her charm she manages to strike a good relationship with William, who is ill tempered with her at first but soon warms up to Louisa. Louisa decides to bring the spark back into William’s dark life and takes him out to outings like music concerts, vacations, her birthday party and to his own girlfriend’s marriage with another man where she openly flirts with William. She begins to entice William by wearing enticing clothes exposing her body and cheers him up by doing the things he loves like seeing non-English movies with subtitles along with him and giving him tub baths. And William again begins to laugh and feel better and begins to yearn for her company . And soon Louisa’s relationship with her own boyfriend begins to feel the strain of her outings with William. Very soon Louisa is in love -with the paralysed William!! She begins to care for him deeply and wants to share her life with him and dreams of everlasting romance and he too seemingly reciprocates her feelings. But William has actually come to a terrible decision and unknowing to him Louisa has come to know of his decision!! She is hoping against hope that he will change his decision and that her company will help in that. It is romance at it’s very best but with a heart rending twist. So what is the terrible decision that William has taken? And will Louisa be able to change it? Watch the movie for the answers. The movie rests on the good performances of the lead actors and on their good looks. 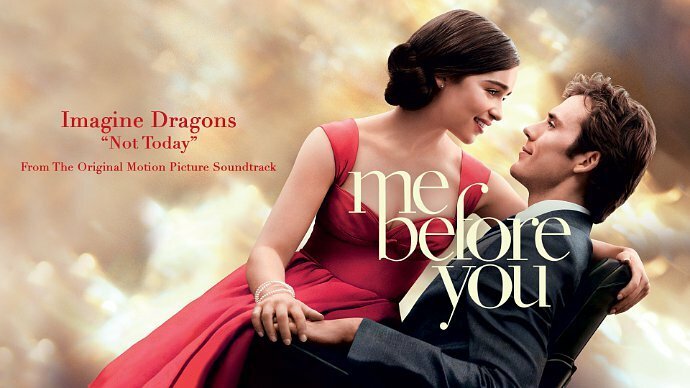 Sam Claflin who plays William looks too good as the tragic wheelchair ridden hero of the tale- just boyishly handsome and Emilia Clarke looks and acts wonderfully as Louisa the small town girl with limited ambitions who finds her horizons widened by her association with William and hopes to genuinely bring light in his life. She has such a toothy smile and such infectious laughter that you smile and laugh with her in the good times and there is a tear in your eye when she is having her bad times. Janet McTeer and Charles Dance act well as the hapless parents who have seen their young son become paralysed in his youth, fraying relations between even themselves as they struggle to help William. Music is nice too and is more sentimental than romantic, appropriate for the situations. Photography is good too- of a lonely castle and the sea and the rains. Women will especially appreciate the sentimental moments in the movie but men won’t be unaffected too; just like I was .